Swim Spa Portland Oregon – TidalFit Swim Spas Offering their Exercise Pools and Swim Spas For Sale in Portland, Beaverton, Bend, Clackamas, Oregon and Vancouver, WA. 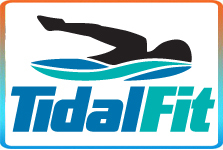 Oregon Hot Tub, a 5-store HotSpring Spas dealer has expanded their aquatic offering by adding a line of premium aquatic exercise pools - TidalFit Swim Spas. According to Dave Doornink, marketing manager, “the TidalFit swim spas can give users an amazing workout without the gym and provides fun for the whole family. In addition, the TidalFit with dual Badu jets provides a full body workout including cardiovascular and endurance training as well as upper and lower body strength training." The advantages of exercise are of course well documented, but can lead to sprains and sore muscles. Many of these injuries occur due to the amount of weight and strain we put on our bodies. Exercising in a swim spa eliminates much of the strain because the buoyancy reduces our body weight by as much as 90%. “To encourage people to check out the benefits of owning their own swim spa, Oregon Hot Tub is providing free swim spa wet tests. We do recommend however that people wanting to schedule their free 30-minute wet test call us ahead of time to reserve their spot,” said Dave.